The mountain air is sweet outdoors, and even sweeter in the bakeries, cafes and confection shops sprinkled through Julian, Wynola and Santa Ysabel. These backcountry communities have long been known as a destination for gift-givers looking for that perfect token of appreciation and love. And, of course, one of the best parts of exploring a new place is being able to bring back some treasures for family, friends and yourself. From boutiques to bakeries, the local shopping showcase offers an all-around sense-ational experience. Start by smelling the cozy and calming scents of a beeswax candle, handmade soap, exotic incense or the time-enchanted musk of a rare book. Taste the orange blossom honey, old-fashioned sodas and homemade baked goods. Touch the antiques that have been around longer than you, and the rocks and minerals that predate San Diego itself. Hear the cheerful chatter on the street, the warm welcome in the air and the musicians on the sidewalk. Outdoor enthusiasts will find anything they need right at their fingertips, from biking, hiking and camping gear to all the right tools for birdwatching. With a handcrafted knife, pair of binoculars and sunscreen, nature lovers are sure to be ready for any adventure. On the other hand, if you prefer to take your time, you’ll find that antiques, books, jewelry, unique clothing and keepsakes will transport you to a world all your own. 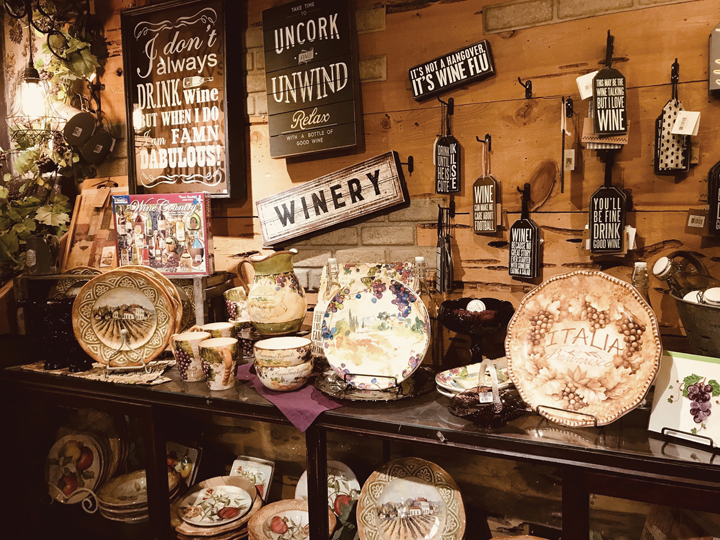 Shoppers appreciate that much of the merchandise is handcrafted and inspired by the area’s historical roots. Proprietors are locals who take pride in their community, striving to give every patron an authentic Julian experience. Whether you are buying or browsing, merchants invite you to “strike gold” and enjoy the Julian shopping experience.